A company offered to buy an .io domain I own for $750. Anyone have any experience with this? Also, Uncharted 4. I’ve watched gameplay and played the demo and it looks amazing. Ratchet & Clank is exclusive to PS4 and really fun. If you like RPGs, Dragon Age: Inquisition is good. Also I believe the HD remaster of Skyrim just came out on PS4. 09HF4JLV somehow just getting a notification for your question. It’s the album art for Muse’s Resistance album and follows the theme of the album. 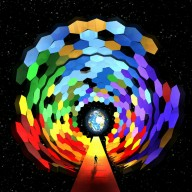 It represents the idea of leaving Earth (Exogenesis Symphony) and Transcendence/finding meaning (Guiding Light).